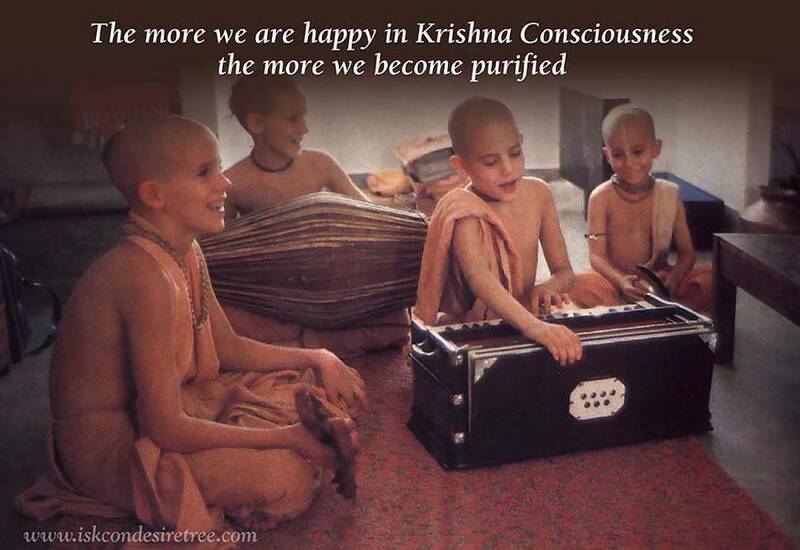 The more we are happy in Krishna Consciousness the more we become purified. 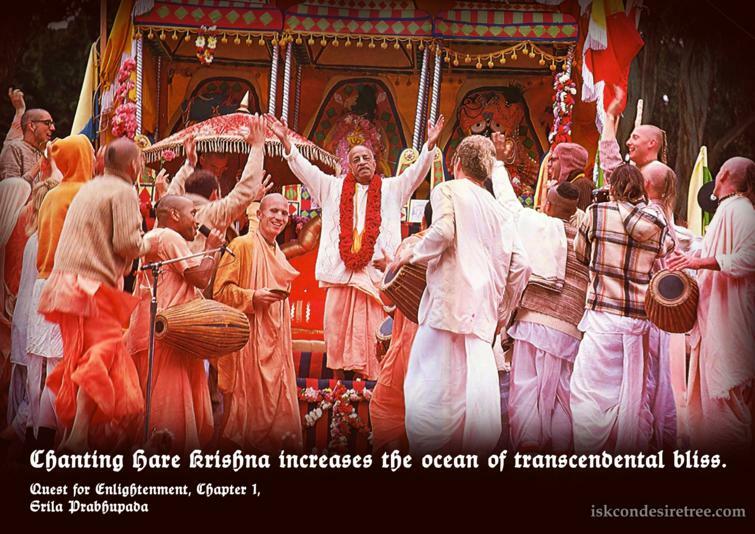 Chanting Hare Krishna increases the ocean of transcendental bliss. The serious effort of seeking the Lord is the actual cause of our having bliss. 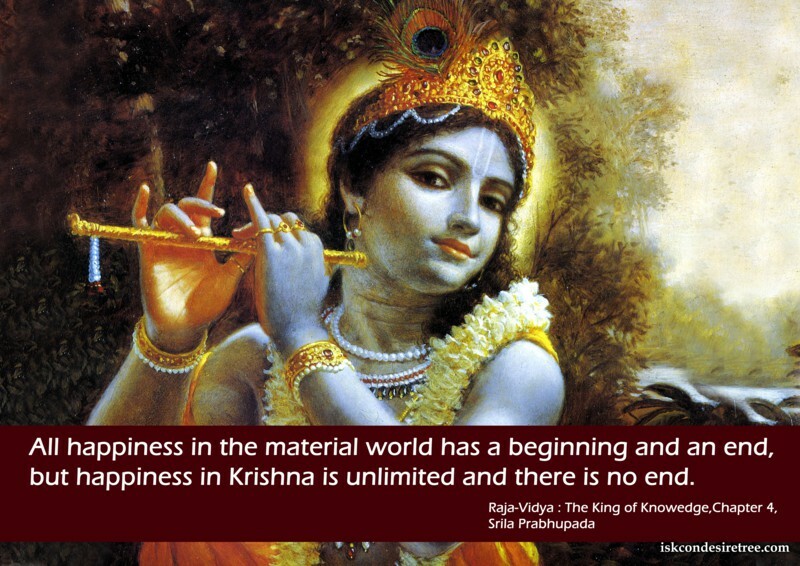 All happiness in the material world has a beginning and an end, but happiness in Krishna is unlimited, and there is no end. Highest pleasure is the pleasure of love.